Are the blemishes not just scarring your face but also making you frown and worry? Well, as always, there is help at hand. Rather than worrying yourself stiff, turn to your kitchen for some easy home remedies that will help you reduce your blemishes and prevent them from recurring. Both honey and lemon have anti-bacterial properties. They are both lightening or bleaching agents. So when you combine them into a mask, the combination is nothing short of killer for blemishes. Squeeze out the juice of one lemon. Add to this a teaspoon of honey. Mix it well. 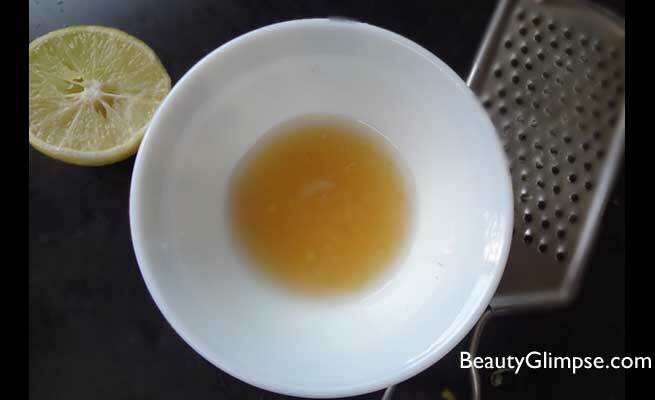 Tie back your hair with a scarf and apply this mixture onto your face. Leave it for fifteen minutes. Wash with warm water and pat dry. This mask will lighten skin, fight blemishes and also keep your skin hydrated. 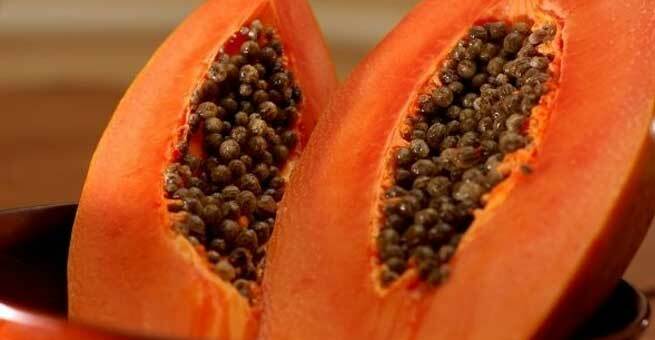 The papain enzyme in the papaya helps fight blemishes and pigmentation. If you have a ripe papaya at hand, simply mash a slice of the pulp and apply it on your cleansed face. Leave it for fifteen minutes and wipe off with a damp washcloth. You can also rub your skin with the inner peel of the papaya to fend off blemishes. The vitamin C in the oranges helps rejuvenate the skin. Orange also has an ability to control the oil that is secreted in the skin and it helps as an astringent. 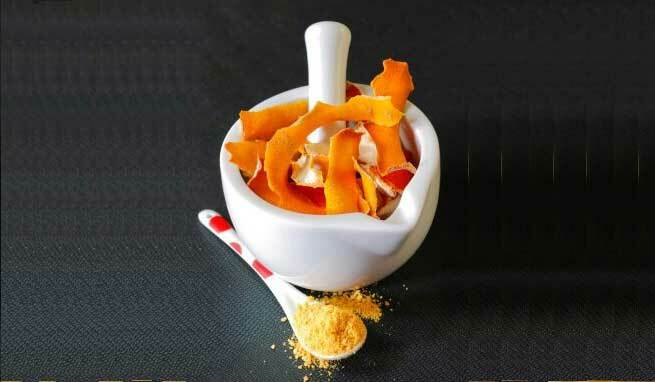 Simply grind the peel of an orange with a little water and make a paste out of it. Apply this paste on the skin and leave it on to dry. Wash off with warm water and pat dry. You can also dry the skin and make a powder out of it and store it to use it over a longer period. 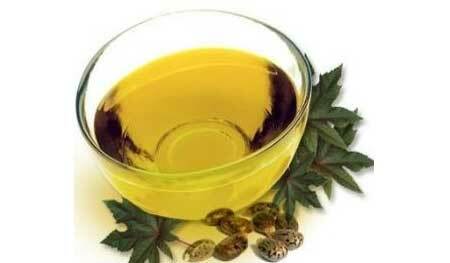 Tea tree oil is one of the most effective treatments for blemishes and acne. And using it could not have been simpler- simply apply a drop of tea tree oil on the affected region and leave it overnight. Regular use will dry fresh acne and pimples and also erase any marks or scars on the skin. They are packed with proteins and when sprouted, great for your health. But did you know that green gram powder is an excellent exfoliator and helps control blemishes? Simply powder a big batch of green gram and store it in a bottle. Make a paste of it with some water and apply it topically on scars and blemishes. Use it to scrub your skin once in a week or use it as a body wash. It is multipurpose and highly effective. These green gooey succulents are great for your skin, hair and overall health. Simply pinch a bit of aloe vera from the plant and peel it. Make a paste out of the inner pulp and apply it directly on the skin, on affected areas. Leave it to dry for ten minutes before washing it off. You can also use store bought aloe vera gel. Simply soak some oatmeal in water or rose water. When it becomes slightly soft, use it to scrub your face and leave it on as a mask for fifteen minutes. Wash it off with warm water. You will find that your skin is well exfoliated and supple. Repeated use helps get rid of blemishes.